Our Public Image, LTD hair stylists are fully trained, experienced and versatile. We are committed to being the best stylists. Our team keeps current with all of the new cutting techniques and the latest hair trends, always exploring fresh new ideas. All haircut and style sessions include a thorough consultation, stress-reducing shampoo, and conditioning, and blow dry. Let us bring new life to your hair and you! Visit our amazing hair salon today! Personalized precision and free-form hair cutting with the latest style trends and techniques for women and men of all ages. Let us create a new look for you. 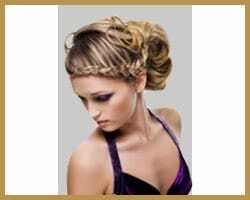 No matter what the occasion, a simple night out, an elaborate wedding, or just another day at the office, our hair stylists can create a delicate or dazzling ‘Up Do’ just for you. Achieve your desired look with a meticulous shampoo and style in just 30 minutes. A great way to start your weekend or for a last minute inspiration to look and feel great. Want to add length to your hair? We offer 3 types of hair extensions by Perfectres, silky straight, natural body, and body wave, all in a wide selection of beautiful colors. Halo Couture: 100% Remy human hair extensions that require no bonding, clipping or gluing. They add body, volume, and length in a matter of seconds. Available in 12, 16, 20 & 24 inches. Extremely popular with brides. 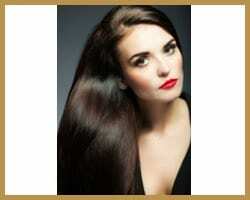 Platinum Seamless: These are tape-in hair extensions that are made of the finest virgin cuticle Remy hair. Whether your goal is to add bangs, length, volume, highlights, low lights or color accents, these 3-inch attachments are easily customizable to achieve your desired look. Perfect Tresses: This process combines tape and a small amount of natural hair in between. The tape attaches solidly to the natural hair. Depending on hair care and lifestyle perfect tresses hair can last up to 8 weeks and can be reused. Hair salon service prices may vary according to the length and condition of the hair. All appointments are subject to 24 hours notice of cancellation. Call Us or Contact Us using our online form today for a hair salon service appointment and experience the luxurious art of Image.